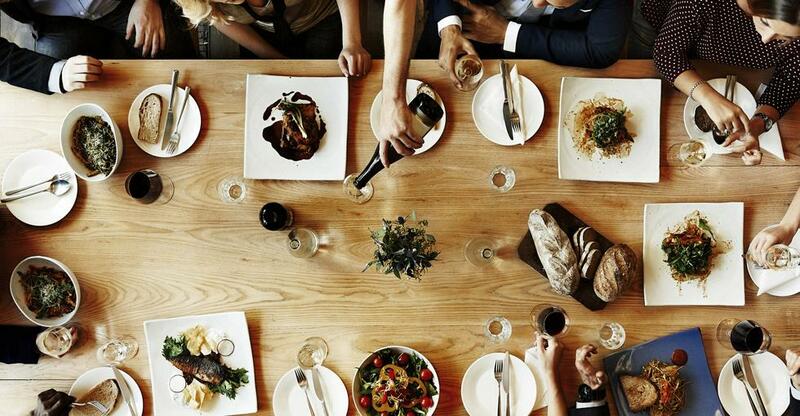 In the last two decades, Australians are eating out an average of two to three times a week. According to The Australian Foodservice Market, the restaurant industry produced a revenue of $45 billion in 2017 and is expected to record an average of 5.1% compound annual growth rate (CAGR) from 2018–2023. The demand for convenience continues to grow. The latest research from NPD indicates that food delivery service now occupies 4% of the whole foodservice industry in terms of spending, equivalent to $1.6 billion. It’s pretty obvious that we Aussies love to eat out. Honestly, what’s not to like? Someone else cooks, serves, and cleans up, while you get to sit back, relax, and enjoy. In the last two decades, research shows that we are eating out an average of two to three times a week. With a population of just over 24 million, that’s more than 50 million meals each week, or 2.5 billion in a year! This boom in the demand for eating out facilities has led to the growth of many independent foodservice businesses. In fact, the number of commercial foodservice restaurants in Australia grew at a rate of 3.5% from 2016 to 2017. Healthy eating grew at a rate of 14.1% from 2016 to 2017. The growing concern with obesity and other health issues has created opportunities for restaurants that can deliver fresh, natural food solutions. One of the biggest food trends in 2018 was plant-based eating. Just Eat, which has delivery hubs in 15 countries, reported that 33% of its partner restaurants have introduced vegan dishes in order to meet the rising demand. Consumers are increasingly booking their reservations online. It’s essential for your restaurant to have a professional website that gives your patrons the same first impression they would receive when walking through your doors. A recent report reveals an expected growth of nearly $2.4 billion by 2025 in the food delivery service industry. People’s busy lifestyles and schedules are a huge part of the driving force behind this rapid growth. The consumer’s desire for convenience makes the takeaway restaurant a growing industry. However, in order to thrive in this culture of health and wellness, takeaways need to offer healthier ingredients and “cleaner” menu items. Currently, the most popular cuisine among Australian foodies is Italian, Chinese, Thai, Indian, Vietnamese, Japanese, Korean, and Mexican. And with the rise of cleaner eating, American-style foods are declining in sales, while cafes, bars, and pubs are steadily growing in popularity. Are you ready to buy a restaurant? Consumer demand for quality food and dining experiences has fuelled revenue growth. Busier lifestyles and diminishing leisure time have increasingly led consumers to turn to restaurants for meals. Low initial capital outlays and low industry concentration play a significant role in reducing barriers for new entrants. New restaurateurs can enter the market with minimal set-up costs by leasing premises, equipment, furniture, and settings. Good people are hard to find—and keep! Staffing issues are one of the most significant challenges facing restaurant owners. Their complaints include, but are not limited to, poor work ethic and a lack of skills. Customers are becoming harder to please. Venue operators have noticed customers are becoming more demanding about their expectations and are more likely to complain if they don’t get exactly what they want. The average annual income from meals—eat in and takeaway—is $480,000. However, it’s not easy to make that kind of money in this competitive industry, and there is a high turnover of venues entering and leaving the industry. Due to low industry concentration, new restaurants can compete on comparatively even footing with existing establishments. In addition to required licencing and compliance training, experience in customer service and hospitality is desirable and can assist in your profitability. Australians are going to restaurants, pubs, clubs, and fast food outlets more than ever before, making the foodservice market an appealing investment venture. Ready to pull up a chair? Click here to see the full listing of available restaurant purchasing opportunities.